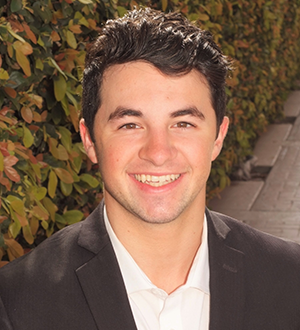 Jake Mercurio is a member of The Goodall Group @Berkshire Hathaway Home Services in La Jolla,CA. He graduated from San Diego State with a Bachelors degree in Economics. With an economic mindset ingrained, Jake is knowledgeable about market trends & market analysis. Jake’s creativity has boosted the marketing techniques used in social media platforms to expand The Goodall Group’s network. Being creative and having great people skills has always been some of Jake’s strong suits. While Jake loves to help people find the perfect home that fits them, he also has interests and hobbies. When he has free time, he loves to talk sports and play some golf from time to time. Being a people person has helped Jake meet countless individuals with questions regarding real estate and looks forward to keeping that going! Coming from a family with multiple real estate investment properties, he sure knows a thing or two about the investing side of real estate. Whether it be your home or an investment property, he understands all of San Diego’s real estate markets. Jake looks forward to helping you today!